Four ways to optimize your get up and go! Feeling sluggish and inadequate? Eagerly awaiting that weekend water time but worried your small boat won’t be ready to perform when the big moment arrives? Don’t worry; there are plenty of options available to help boost your boat’s performance and control when it’s time to hit the water. Everyone needs a little get up and go at some point, whether it’s that G-force inducing hole shot or flat out running speed necessary to beat the competition to that prime fishing hole. 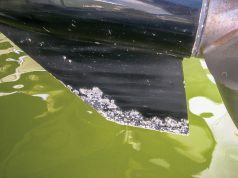 One simple way to improve your speed is by keeping your hull and running gear clean. Like Mom used to say, a clean boat just runs better, so make cleaning, waxing and polishing a part of your routine maintenance schedule. Your attention to detailing will pay off in more ways than just increased speed and improved fuel economy. A well-maintained boat shows better, so think of the financial benefits you’ll reap when “the second happiest day in a boat owner’s life” comes around. Proper trim and efficient planing go hand in hand. Achieving static (non-moving) trim can be as simple as balancing your boat by distributing weight (passengers, coolers, portable fuel tanks, etc.) to keep the hull floating level. Achieving static trim is one thing, but you’ll also need to make adjustments while underway to account for speed, water conditions, direction of travel (with regard to waves and wind), etc. Smaller boats, for example, will ride bumpier in surface chop if left trimmed at calm water angles. Fortunately, trim options for today’s boat owner aren’t limited to repositioning big-boned Aunt June in efforts to provide a smoother ride. Tilt and trim controls for outboards and stern-drive units provide an easy, touch-of-a-button solution for making those on-the-fly adjustments. Trim tabs (such as the Bennett SLT Self-Leveling Tabs) and products like the Doel-Fin by Davis Instruments are popular aftermarket installation options to help improve planing efficiency. 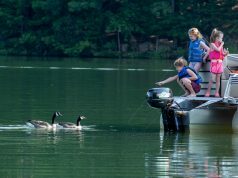 A properly trimmed boat is not only safer to operate but also provides a more comfortable ride as well as better speed and increased fuel economy. Monitor vessel trim throughout the day so that you can make any necessary adjustments as the contents of fuel tanks and ice chests are used or consumed. While everyone likes to be in control, control on the water means varying things to different boat owners. Satisfy your inner cruiser and turn your sled into a glide-ride by adding cruise control or, cooler still, a Hot Foot accelerator. Improve loose, worn steering by upgrading to a higher quality system and components like the Teleflex Extreme. Take your steering up a notch by adding an autopilot or take complete control by adding a joystick driving system such as the Teleflex Marine Optimus 360 by SeaStar. 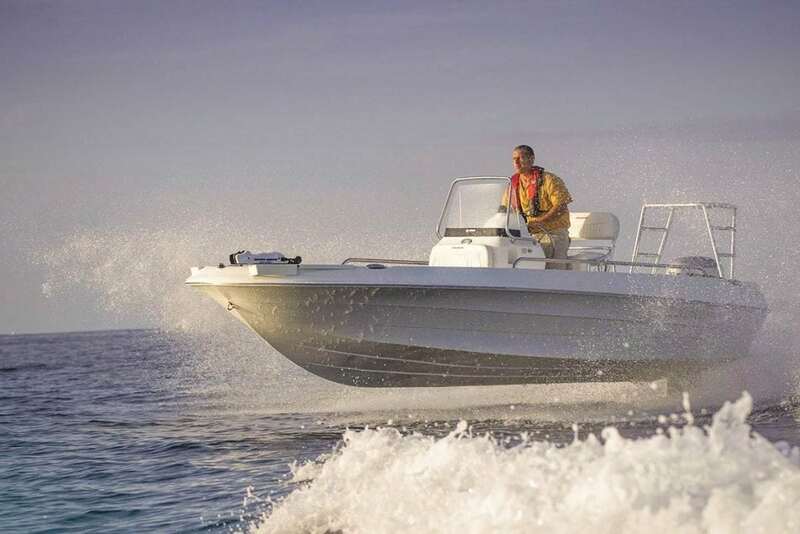 This steering/shift/throttle control system—designed for powerboats with mechanically controlled twin outboards—provides 360-degree maneuvering capabilities when docking, negotiating crowded areas or loading onto your trailer. What are the benefits? A top-notch steering system delivers better control, while having a cruise control and Hot Foot allows you to focus on steering without the distraction of working a hand throttle. (How could having a foot-operated gas pedal on your boat not be awesome?) Joystick control makes you look like a pro, particularly when maneuvering into that crowded yacht club dock to catch the hot wings lunch special at the tiki bar. 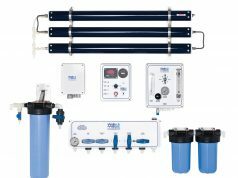 As to cost, a new Teleflex Extreme system runs around $250, while you can get a Hot Foot for less than $200. But if you want to move sideways and do those cool 360-degree turns, get ready to sell the kids for medical experiments; entry level for the Optimus 360 starts out at around $7,000 and goes upwards of $17,000 for a complete system. It’s a fact: the less something sticks in the water, the less drag it produces. A jack plate, such as those provided by CMC Marine (cmcmarineproducts.com), allows you to vertically raise your engine, reducing drag and improving both performance and fuel efficiency. The jack plate is mounted to the transom and the engine is then attached. Unlike the tilt and trim function your engine may already have, a jack plate allows you to raise the engine while keeping it more or less horizontal, channeling the engine’s thrust in the most efficient direction (parallel to the water’s surface). This position not only makes getting up on plane quicker and easier in shallow waters, but it’s also more efficient than simply trimming your outboard up, which alters the direction of the propeller’s thrust to a less efficient angle. 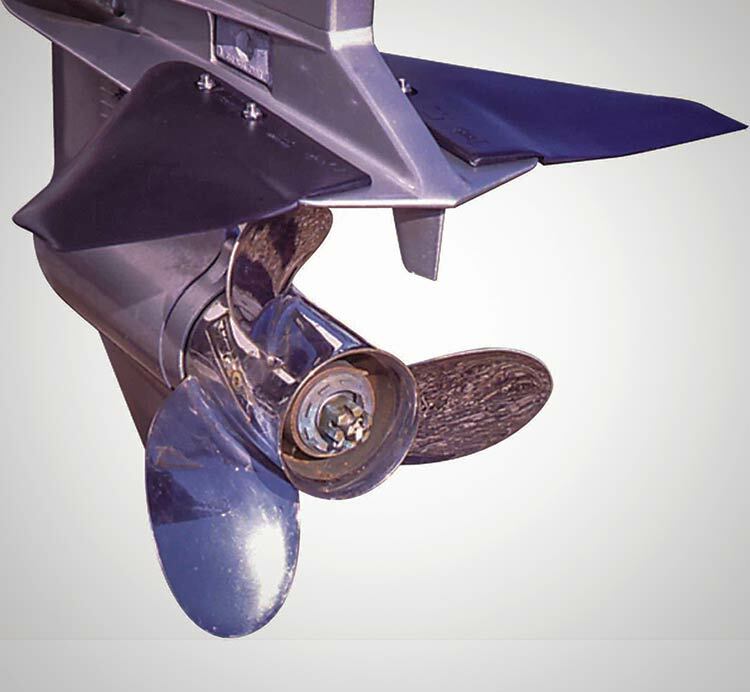 Another benefit is that installation of a jack plate moves your outboard between 4-10 inches farther aft, meaning engine trim will have an even greater influence on performance.